An independent plumbing and heating business that is long on customer service, quality of workmanship, reliability and attention to detail. All with the peace of mind of being carried out by Gas Safe registered engineers. 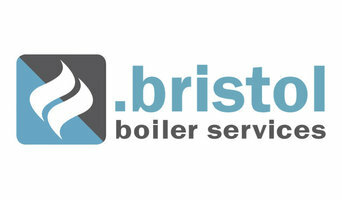 Affordable boiler installation, boiler breakdown & boiler repair in Bristol. 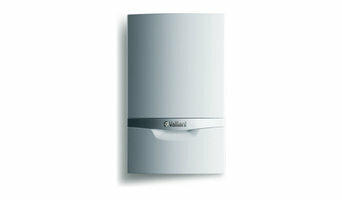 Vaillant, Potterton, Baxi, Ideal, Glow-worm, Vokera, Biasi & Worcester boiler repairs. We will help design your bathroom, offering you our professional advice on bathroom planning, bathroom set-up, furniture and accessories. Bathrooms today are more than just a place to bathe, they can also be a place of escape and relaxation. We provide you with the inspiration to create the bathroom of your dreams with the experience and knowledge of the modern products and materials available. We aim to tailor the bathroom to best suit you. Other services we offer are electrical and new heating systems. From a leaking washing machine to a burst pipe, a dripping tap to a blocked toilet- if you need a Bristol-based plumber in a hurry call us now and we’ll come running. Our Emergency plumbers come equipped to deal with most emergencies whether commercial or domestic and will aim to be on the scene within 45 minutes of your call. And remember 24-7 Plumber Bristol will not charge you a call out fee- ever! Aqua Tackler is a Swindon plumbing and heating business. 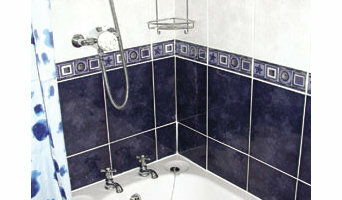 We offer immediate and planned maintenance to private residential clients and landlords in and around the Swindon area. Aqua Tackler offers a complete service from changing a tap washer to fitting a new central heating system. We are not tied to one manufacturer so can therefore offer you the best deal available at the time. Previous experience has been gained working for a large insurance company, so work is always carried out to a high standard. We pride ourselves on offering an honest and reliable service. Ensuring that we always keep you, the customer, informed. There are no hidden charges. Should a job ‘run on’ for any unforeseen circumstance, we will inform you straight away before commencing with the job, to keep the costs straight and fair. Unitary Engineering Services is a plumbing company that specialises in all types of heating systems in and around the Bath and Bristol region of the South West. If you’re looking for a new home or commercial heating system, the team at UES can install under floor or warm air heating that’s cost effective and provides even heating throughout every room. Renewable energy heating systems are also available including air and ground sourced heat pump technology or solar PV panels. 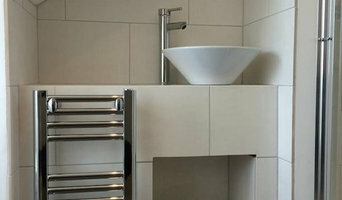 Richards Plumbing Services Bristol offer a fast response to all emergency plumbing in the Bristol and Bath area. We are a full-service company, specializing in all aspects of plumbing for commercial, residential and multi-family housing. We have over 15 years of experience in the Plumbing industry specialising in all areas of plumbing. Plumbing and Heating Company based between Gloucester and Bristol. Address: 1 Alvin Street, Gloucester GL1 3EJ, United Kingdom Ph NO: 01242 384889 At Plumber Gloucester we cover Gloucester, Cheltenham and the whole of the Gloucestershire area. We have friendly, hard working experts that are trained to the highest standards using the best tools and equipment. We are gas safe registered engineers which means your property is in experienced, qualified hands. The services we offer include all aspects of central heating from installation through to servicing. We install, service and repair hot water tanks and cylinders. We install, service and repair gas appliances. We have an emergency call out service and a service for landlords which includes the issuing of landlords gas safety certificates. We offer clear, competitive, affordable prices and are happy to give a free no-obligation estimate to help you budget. Call for FREE quote on 01242 384889. Plumbers in Tetbury, Gloucestershire can do more than just fit sinks and fix toilets; for any water or gas fixture there’s a plumbing company that can repair, install or even design it for your home. In the kitchen, you’ll need local plumbers to hook up your sink, dishwasher and washing machine to the main water supply and the drainage pipes, and they may be able to help with waste disposal units, gas hobs and plumbed-in fridges that dispense ice and water. 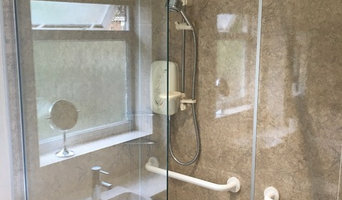 In the bathroom you should hire Tetbury, Gloucestershire plumbers to install your main bathroom fixtures – showers, baths, sinks, toilets and bidets. Plumbing companies and heating engineers can also install towel radiators, shower body jets, bath spas and possibly underfloor heating. Plumbing doesn’t have to stick to the kitchen and bathroom, either. Plumbers can install water taps outside for hoses and sprinkler systems, or you may want outdoor water features, such as a fountain, pond, pool, hot tub or shower; all of which you can talk to Tetbury, Gloucestershire local plumbers or plumbing companies about. You may find that you need a plumber to work with a tiler, kitchen designer or architect so that your whole redesign can come together seamlessly. Here are some related professionals and vendors to complement the work of plumbers: Main Contractors, Septic Tanks & Sewage Systems, Kitchen & Bathroom Designers, Kitchen & Bathroom Fitters. Find local plumbers on Houzz. Narrow your search in the Professionals section of the website to Tetbury, Gloucestershire plumbers and plumbing companies. You may also look through photos of Tetbury, Gloucestershire projects to find a plumber who has worked on a project similar to yours.